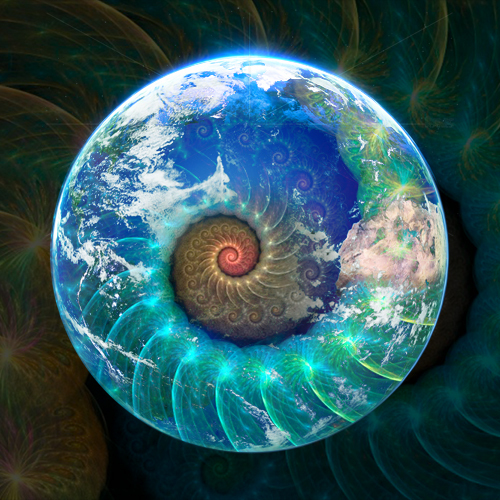 Welcome to this space for people interested in evolution and expansion of consciousness. I practice and teach yoga, meditation and breathing techniques since many years. I also learned to balance energy with the vibration of sound and aromatherapy. I started to feel the music since my childhood and noticed its transforming power, while I was playing with crystal glasses.The connection between my body and all that surrounds me has always surprised me, as well as the senses which create a bridge which unites universes. That is why I focus my work by melting the body ( yoga and breathing), the sound(hang drum, crystal and tibetan singing bowls, voices…) and Rainbow Aromatherapy (fusion of essences, and minerals, combined in 8 powerful compositions for the chakras). A unique experience combination for those who want to deepen in the work of frequency, energy and vibration through Sound and energy work. This is about one to one retreat, open to add one or two more people in case you feel to be part of a small group. In case you have a friend that would like to attend, or the possibility to join another unknow person who wants to share a group too. 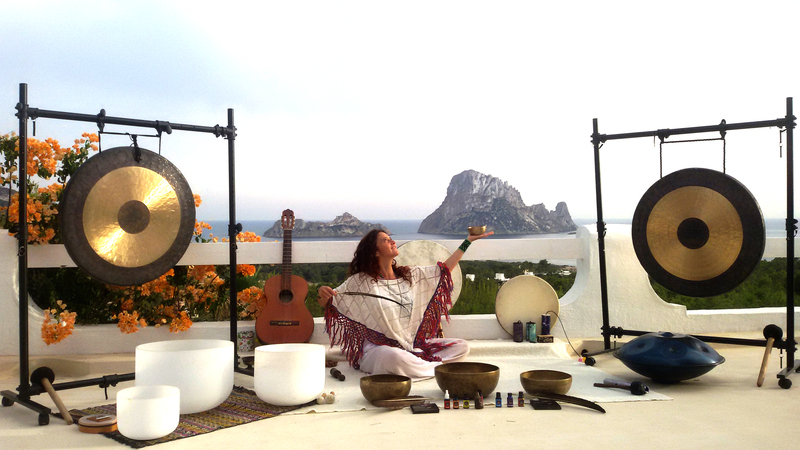 • MY PROPOSAL for a Yoga Sound Retreat in Ibiza. • PERSONALIZED RETREAT. Design your own Yoga Sound Retreat. My early interest in the growth of consciousness and spirit led me to start practicing yoga and meditation since I was very young. I have been sharing my knowledge and teaching for over 15 years now. My sessions are very organic, adapting rhythm and composition to the people and the energy of the moment. 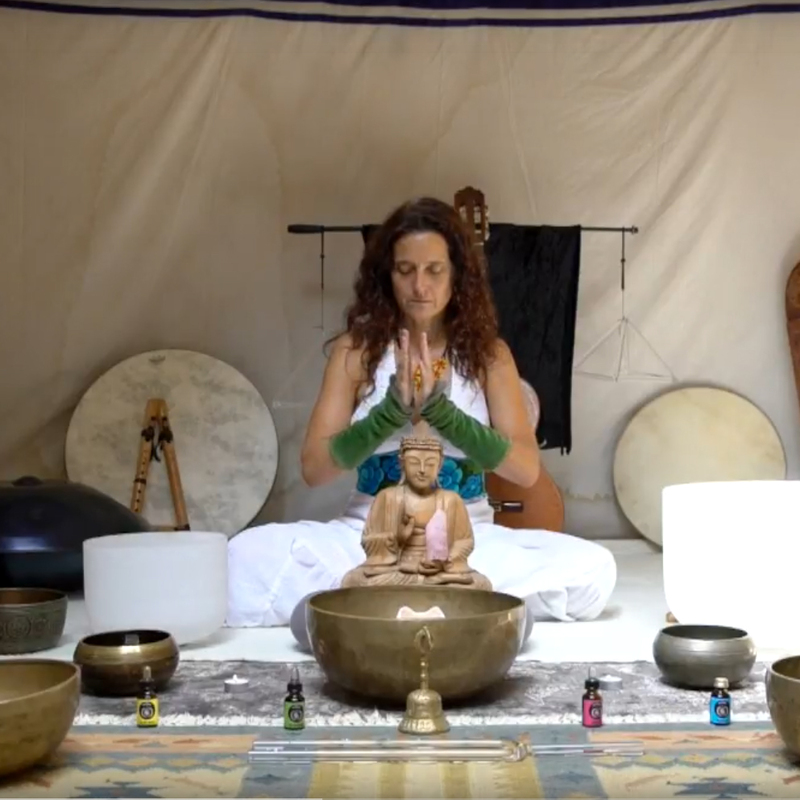 Sound meditation to harmonize the seven chakras. 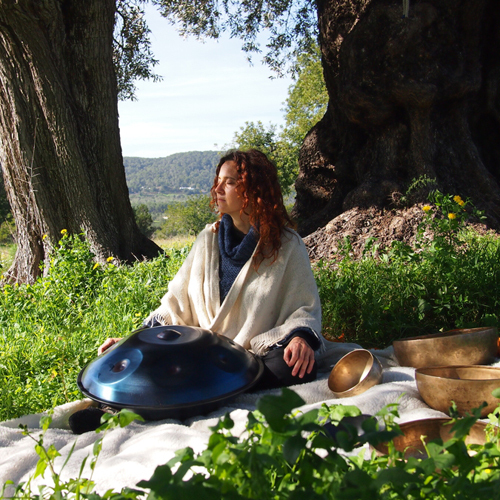 Sound compositions designed for each energetic center, using the healing vibrations from Hang drum, shaman drum, flutes, Tibetan bowls, voices… bringing the Sound Therapy benefits. 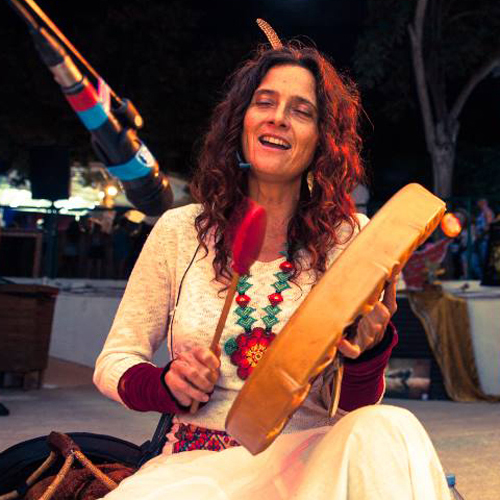 This magical session combines the asanas (postures) of Yoga with sound vibration of the vocal. To sing a sound with movement of posture, breathing lengthens easily and naturally increasing profits. All within the universe that we live in contains an energetic field with different degrees of vibration, from the most subtle to the most dense. 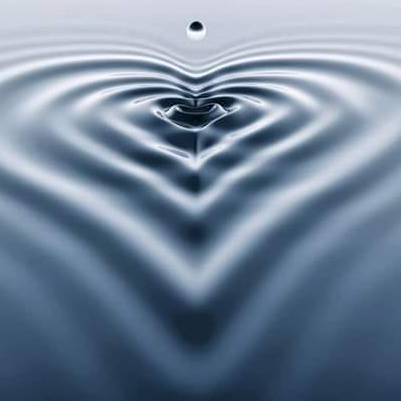 Each molecule, each cell, tissue, organ, gland, fluid in our body has its own degree of vibration. The same happens with each energetic centre or chakra. 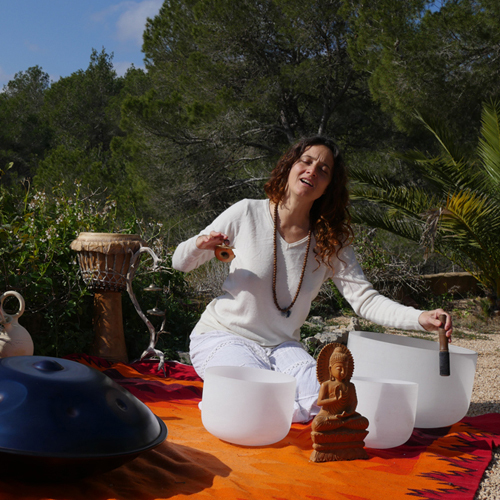 HANG DRUM, GONGS, TIBETAN AND QUARTZ CRYSTAL SINGING BOWLS, SHAMANIC AND OCEAN DRUM. A unique experience of sound and vibration. Music of the Earth, created from the heart recovering songs of the world: from North and South America to mantras from India. 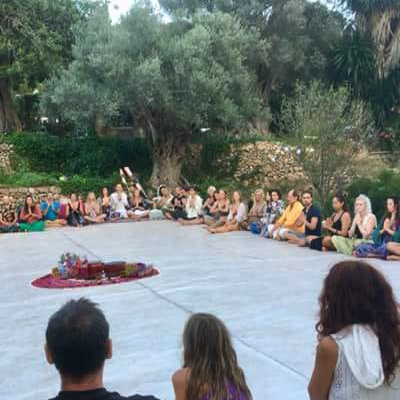 With this intention two formations are born, both are available for singing circles, celebrations or ceremonies. Ishtar with 3 members and Hijas de la Tierra (Earth daughters). The wisdom of the heart. 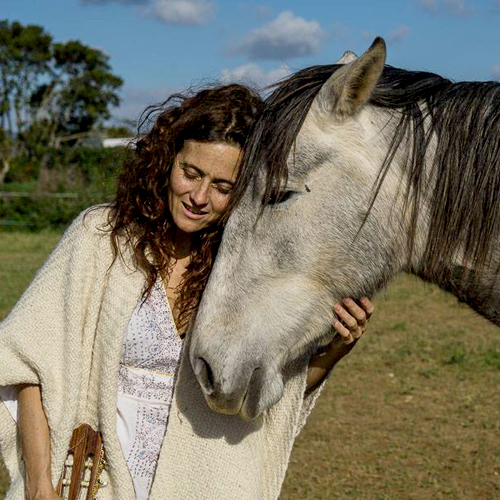 Journey of breathing and presence guided by the innate wisdom of horses and the healing vibration of sound to reconnect to the harmonious state of the heart.Horses are animals of great sensitivity and empathy, acting as a mirror immediately capturing our emotional state. The essential oils are the soul of the plant, its vital energy is a vehicle through which its natural properties are transmitted. 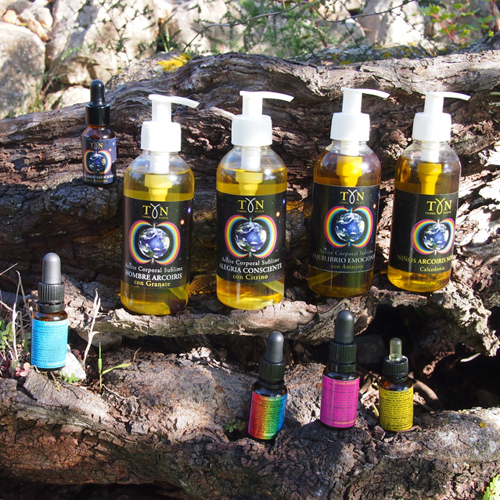 Aromatherapy uses natural essential oils to maintain or restore the physical, emotional or mental heath. The relationship between the “smell” and the emotions is truly profund. No other sense has the capacity to penetrate the most primitive “environment” of the mind, the lymphical System which is the atemporal base for our spirit and our emotions.